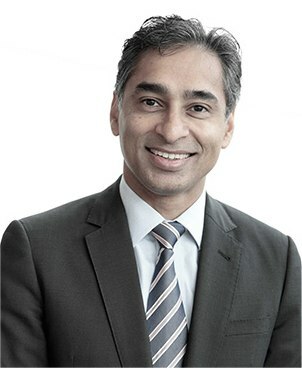 Max is an Australian trained consultant urological surgeon with appointments at Sydney Adventist Hospital, Norwest Private Hospital, Hornsby Ku-ring-gai Public Hospital and The Mater Private Hospital. Max has a sub-specialty interest and expertise in the use of minimally invasive surgery including laparoscopic and robotic techniques for the treatment of prostate, kidney and bladder cancers. Max is the appointed Head of the Centre for Robotic Surgery (Urology) at the Sydney Adventist Hospital. 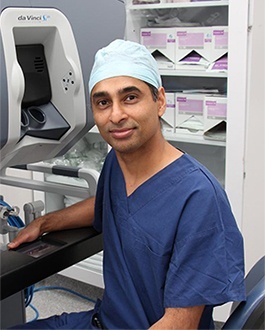 He is a certified robotic surgeon in the use of the DaVinci Robotic System having commenced robotic surgery when the Sydney Adventist Hospital acquired the system in 2012. He has been trained in the United States and locally, and mentors colleagues in the performance of robotic prostatectomy cases. Max is also an experienced endourologist offering laser treatment of kidney stones and benign prostate enlargement. Max was raised in Sydney and obtained his medical degrees at the University of NSW in 1996. He completed three years of advanced accredited training in general surgery, based at Royal North Shore Hospital and affiliated hospitals, before commencing specialist training in urology in Victoria. He returned to Sydney for fellowship appointments in urological cancer and voiding dysfunction. Max was awarded Fellowship in the Royal Australasian College of Surgeons (FRACS) in 2008. Max is the appointed supervisor of trainee doctors in urology at Sydney Adventist Hospital and Hornsby Ku-ring-gai Hospital. As a Clinical Lecturer in the Sydney Medical School, he is regularly involved in teaching under-graduate medical students at the Sydney Adventist Hospital Clinical School of The University of Sydney. He has authored and peer-reviewed articles for local and international medical journals throughout his career. Max is an active participant in the fortnightly convened Multidisciplinary Urological Cancer Clinical Meeting held at the Sydney Adventist Hospital, bringing a multidisciplinary, peer-reviewed approach to patient care in significant and complex cancers. Typically, participants include other urological surgeons and specialists in the fields of nuclear medicine, pathology, medical oncology, radiology and radiation oncology. Max's patients can be confident that recommendations about the most appropriate and beneficial cancer treatment result from a collaborative process of review by experts who are leaders in their field. 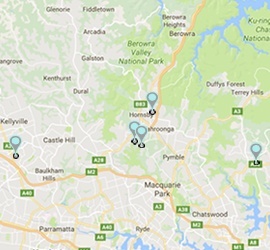 Consulting appointments are available at the Sydney Adventist Hospital in Wahroonga, at Norwest Private Hospital in Bella Vista, and at Northern Beaches Cancer Care in Frenchs Forest. The consulting rooms are conveniently located with ample parking in the upper north and north-west suburbs of Sydney. Max has regular operating lists at Sydney Adventist Hospital in Wahroonga and Norwest Private Hospital in Bella Vista. Max is also involved in the care of public hospital patients. Following consultation, Max can place uninsured patients requiring surgery on the public waiting list at Hornsby Ku-ring-gai Hospital. Patients may also attend out-patient clinics with his team lead by a dedicated urology registrar.